August 10, 2015 - Frank Gifford, New York Giants Hall of Famer and legendary voice of ABC’s “Monday Night Football” for over 25 years, died on August 9, 2015, at his home in Greenwich, Conn., of natural causes. He was 84. Born in Santa Monica, Calif., Gifford attended USC where he was an All-American who played both offense and defense. He enjoyed a 12-year NFL career, all with the New York Giants, making eight Pro Bowl appearances and five trips to the NFL Championship game. His best year came in 1956 when he led the Giants to the NFL title over the Chicago Bears and was named the league’s Most Valuable Player. After his retirement in 1964, Gifford began his broadcasting career with CBS. His big break came in 1971 when he replaced ASA Hall of Famer Keith Jackson as the play-by-play announcer for ABC’s “Monday Night Football.” Jackson would go on to become the voice of college football, the Olympics and many other events on ABC. Throughout his 27 years and record 411 games on “MNF,” Gifford shared the booth with many announcers, including his original partners Howard Cosell and Don Meredith, as well as Alex Karras, Fran Tarkenton and Joe Namath. In 1986, Al Michaels assumed the play-by-play duties with Gifford switching to the analyst role alongside fellow football Hall of Famer Dan Dierdorf. In 1977, Gifford was inducted into the Pro Football Hall of Fame. He made history in 1995 when the Hall came calling again, this time to bestow upon him the prestigious Pete Rozelle Radio-Television Award, making him the only person to enter the Hall as both a player and a broadcaster. 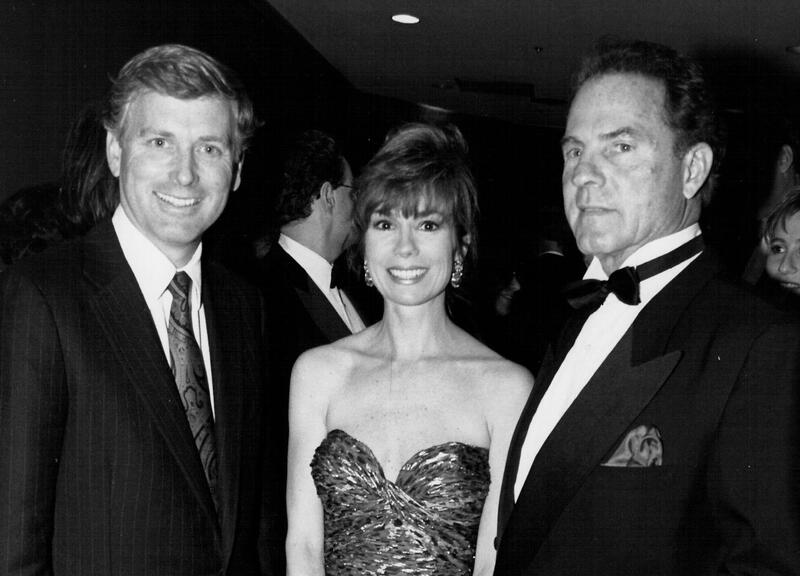 An avid supporter of ASA, Gifford attended many of the Hall of Fame Dinners, including the 1990 event when he presented the Graham McNamee Award to longtime friend and ABC executive Dennis Swanson.